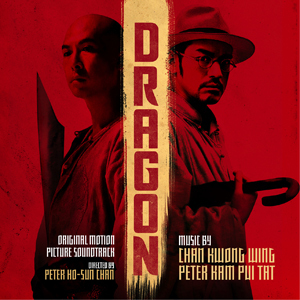 Accompanied by a stylish soundtrack composed by Chan Kwong Wing and Peter Kam (The Warlords), Peter Chan’s Hong Kong action adventure Dragon tells the story about a martial arts expert who wants to start a new life but is hunted down by a detective and his former master. Donnie Yen and Takeshi Kaneshiro are the main stars in the film, which won multiple awards at the Asian Film Awards and Hong Kong Film Awards (including the ones for Best Composer and Best Original Film Score respectively). The composers mix orchestral elements with Asian instrumentation and modern aesthetics, creating an effective and attractive score with coherent thematic ideas at its core. This digital only release follows the theatrical release of the film in the United Kingdom on May 3, 2013, and co-insides with the DVD release of the film in USA and Germany!